The Boxby Bone Snack is made of dried rawhide with tops of dried chicken breast on each side. Chewing on the Bone Snack is good for your dog's teeth. 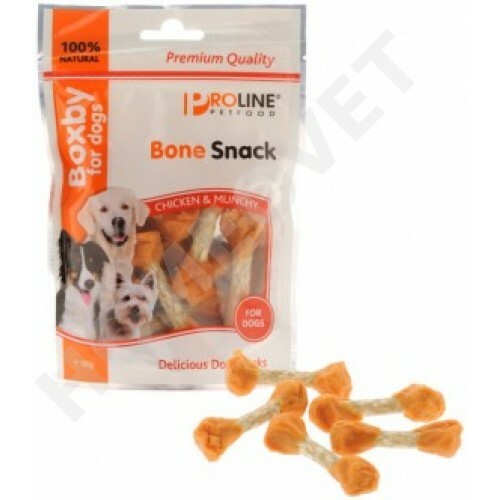 It is also easy to digest, which makes it the perfect snack as well as a great supplement to your dog's diet. Meat and animal derivatives (95% chicken), vegetable protein extracts, minerals. Not suitable for dogs less than 1 year!